When it comes to training, your goals and body type are very important. If your goal is to have the best body on the beach during the summer, you’re obviously going to have to put in more work than someone who just wants to get fit. That being said, regardless whether you’re aspiring to be a bikini model or just shedding a few pounds, there are rules that are universal when it comes to training. 1. HOW OFTEN DO YOU TRAIN? Overtraining does exist and it’s what I call, an “extreme”. Another example would be consuming too little calories while on a diet or overeating. Never forget that your body is a machine. And just like all machines, regardless of how flawless they are, it will under perform without a break. Take a computer for example. If you leave a computer on for too long, it will begin to overheat which’ll result in slower web surfing, slower video streaming etc. If we put our bodies through extremes such as these, they will start to under perform. So how often should you train? Never train less than 4 days a week and never more than 5 days a week. I’ve always followed this rule and it’s given me the results I want. Don’t be a fireball and set a goal to lose 30 pounds in 1 month. Trust me, you’ll fail. 2. HOW LONG DO YOU TRAIN? Michelle Matte from LIVESTRONG reminds us that, “your muscles rely on limited stores of creatine phosphate….and glycogen.” All of which has been provided by us in our two meals prior to the workout. 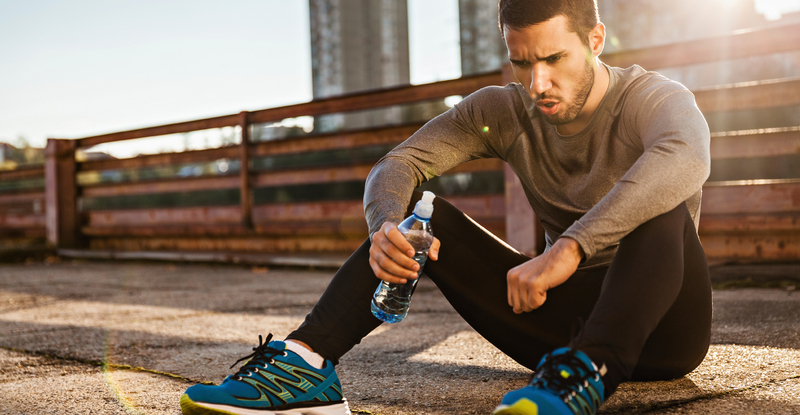 The longer your workout, the more time your body is spending trying to find a fuel source for the rest of you training after you’ve been depleted. And of course we all know that once depleted, your body turns to muscle for energy. We want to avoid that as best as we can! Never spend less than 45 minutes in the gym and never more than 1 hour. This is another rule I’ve always followed that has shown me success. Keep in mind that as a bodybuilder I’m already trying to put myself through an intense workout. But an intense workout doesn’t have to be a long workout. Throw some super sets in there, lower your rest times and you’ll see better results faster. 3. WHICH BODY PARTS DO YOU TRAIN? For beginners, I’ll always recommend full body workouts first. If you’ve never been in a gym, you don’t have any muscle and therefore targeting different groups will be hard. For intermediate lifters, there’s always this debate about push and pull days. For anyone that doesn’t know, push days are for chest and triceps (because exercises that work those muscles require you mostly to push weight) and pull days are for back and biceps for the exact opposite reason. I am not a fan of this type of training! Why? Because it takes away from your “go hard or go home” attitude. If you walk into the gym thinking, “I’m training two crucial muscle groups today”, you will subconsciously leave some intensity for the second muscle group. You won’t go all out with your back exercises because you know you need to leave some energy in the tank for your bicep exercises. This results in less intensity, which’ll ultimately result in less growth. According to Jay Cutler, this isn’t necessary. Jay explains that he’s always found success with one body part per day for 5 days. Meaning one day for chest, one for back, shoulders, arms and legs. This allows you to funnel all that energy and intensity into less exercises per workout which eventually leads to more growth and shorter gym sessions.